1 A corner store displays a Powerball lottery sign in Encinitas, California. 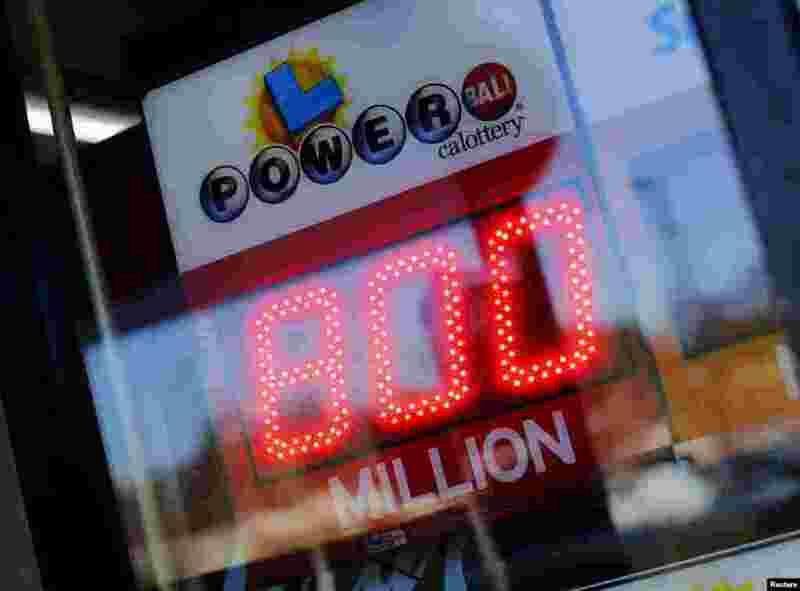 The lottery jackpot, already the largest ever payout in North American history, continued to climb, hitting an estimated $800 million on Friday. 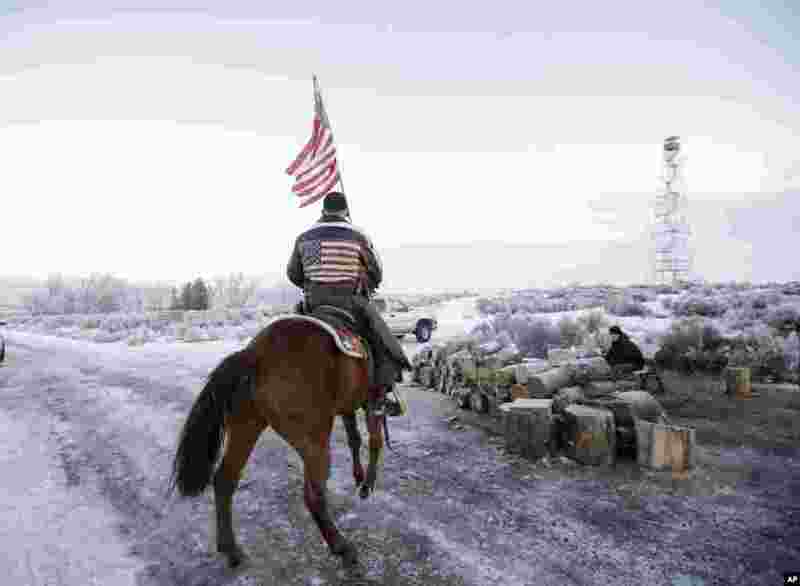 2 Cowboy Dwane Ehmer, a supporter of the group occupying the Malheur National Wildlife Refuge, rides his horse at the refuge near Burns, Oregon. Three sheriffs met with leaders of the armed group to try to persuade them to end their occupation of the refuge after many local residents made it plain that's what they want. 3 Bahraini protesters carry a banner with images of Saudi Shiite cleric Sheikh Nimr al-Nimr that read, "blood of the martyr," during a demonstration in Sitra, Bahrain. 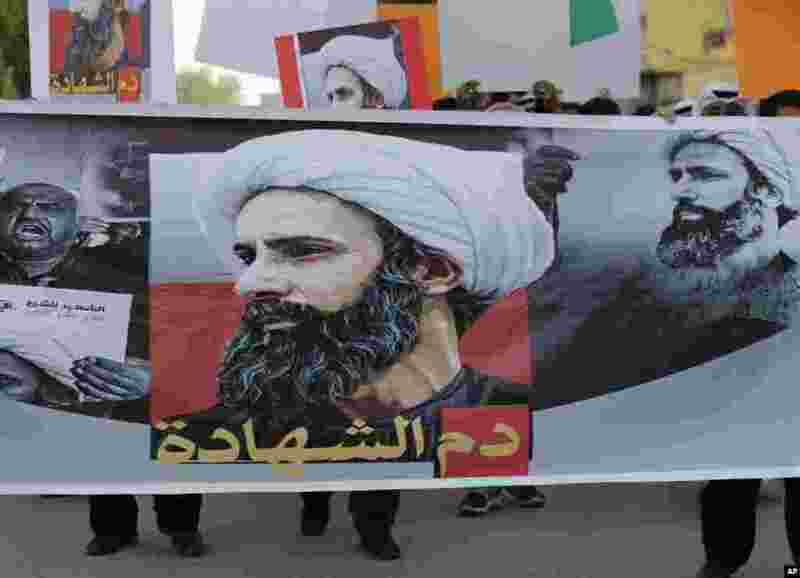 Police fired tear gas at protesters throwing stones and petrol bombs during clashes that erupted at the march against Saudi Arabia's execution of al-Nimr. 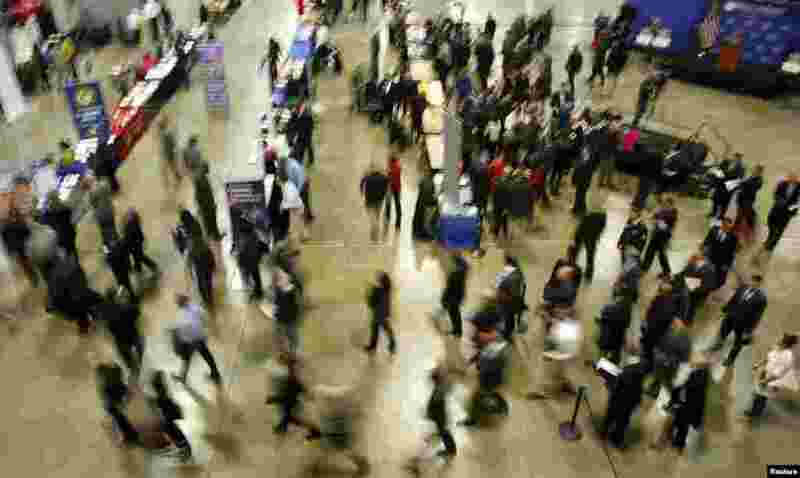 4 Job seekers break out to visit corporate employment personnel at a U.S. Chamber of Commerce Foundation "Hiring Our Heroes" military job fair in Washington, D.C. U.S. job growth surged in December and employment for the prior two months was revised sharply higher, suggesting that a recent manufacturing-led slowdown in economic growth would be temporary.